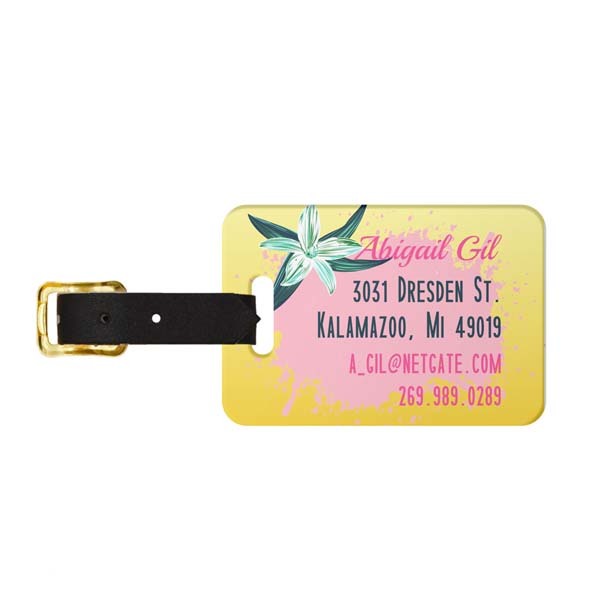 Capture the spirit of your tropical vacation and keep it for years to come, with this sturdy and stylish Tropical Vibes Luggage Tag. Its sunset hues, brushstroke elements and your name in a festive, summery font will help you spot your luggage faster in the baggage claim, so you can spend less time waiting and more time soaking up the sun. 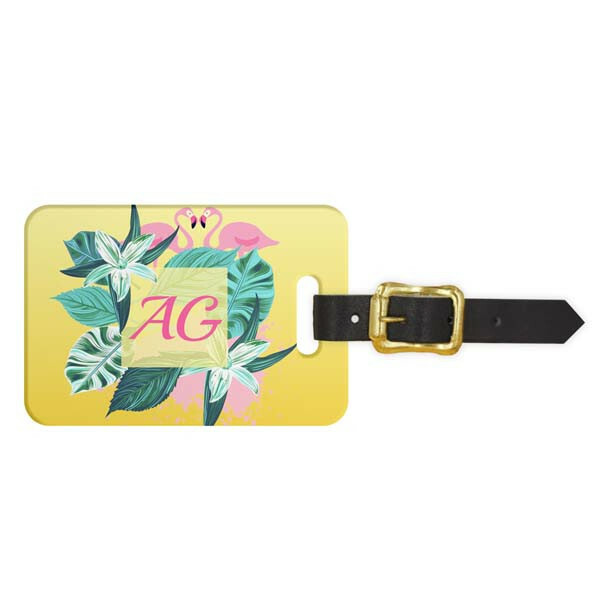 Romantic getaways, girls' weekends and work trips have a permanent touch of fun in the sun when you personalize your own Tropical Vibes Flamingo Luggage tag. Order with confidence, because your personalized product is hand-crafted and shipped from sunny Florida, so you know you'll receive the highest quality with the fastest shipping time around!